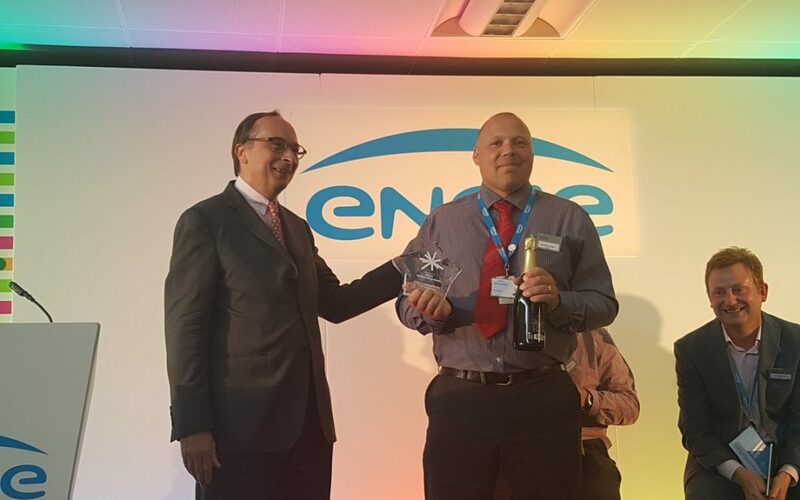 Spinaclean looks like its set to mark another year of delivering high quality products after coming 2nd at the Engie Innovation awards out of 670 submissions worldwide, with our market leading SkyVac system. Every year, ENGIE, the largest independent electricity producer in the world, celebrates innovation through 100 or so events in more than 20 countries. The event, which took place this month, is a significant time for ENGIE’s staff members to put forward their propositions to the company, on how they can further improve their ecosystem and enhance the uniqueness of their services. Spinaclean’s SKyVac system shone above thousands of innovations, with Jonathan Ashley, Regional Technical Manager at Engie, leading the way and representing the product through various presentations in UK and Paris, where the SkyVac made it into the final. According to latest British Cleaning Council report, falls from height are in the top three-workplace accidents associated with cleaning activities. This is no change for Engie, as falls from height is a universally acknowledged danger for the company. Yasir Patel, Innovation Development Manager at Engie quoted, “Minimising the working at height risk has historically been very costly, but with the long reach of the SkyVac, costs can be significantly reduced, with the added benefit of keeping our engineers’ feet on the ground. “SkyVac is a multi-use, low cost, high reach inspection and cleaning system which removes the need for out of hours working and costly plant and scaffold. “The lightweight system eliminates the health and safety risk of working at height. It can also be used into buildings where drones are not allowed to fly. Jonathan Ashley added, “After spending years paying for expensive and time consuming scaffolding and mobile platforms, I knew it was time to take action.